Dates and places of past live shows. Upcoming shows are here. For historical perspective, start at the beginning (bottom of page) and scroll up. Large gaps early info. If you attended a show not listed here, please let us know. 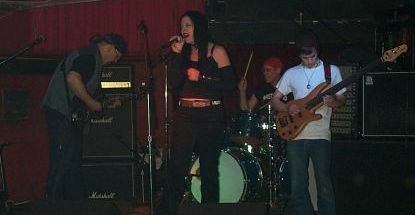 Pretty much wasted a year auditioning bass players. Some recording. 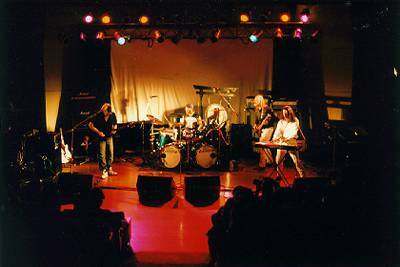 June 2001 - Prog, Fusion, Metal, Leather & Sweat live album released. Feb 2000 - Angels of the Apocalypse album now released worldwide. 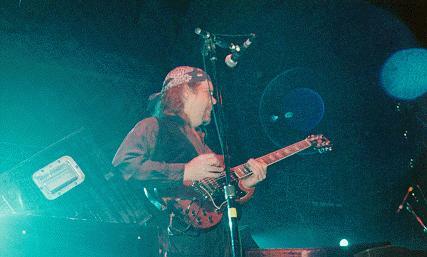 June 26 - NEARfest 1999, Allentown, PA - review & photos here. June 12 - Theater of the Living Arts - Phila. 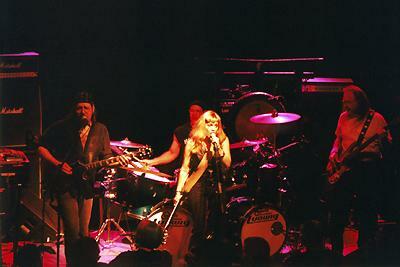 PA w/ GONG With guest Scott McGill 2nd guitar. Writing & recording for the "Angels of the Apocalypse" album during this time. Nov ?? - Excelsior! album released in Japan. Later in USA & Europe. Mar. 27 - Merry-Go-Round - Trenton, NJ -- welcome back Bob Eckman (bass) -- the last trio show. Recording for Excelsior! with Jens Johansson during this time. A new beginning! This marked the end of Mastermind version 1, the power trio. May 01 - Live in Tokyo album released. Around the world in 3,650 days (tour stories). June 25 - Until Eternity album released in Japan. Later in USA & UK. Sep. 16 - venue?? - Nashua, NH - 1st unplugged show! Much of '95 was spent recording "Until Eternity" but more dates were possible. Nov. 09 - Tragic Symphony released in Japan. Later in USA & UK. Most of '94 was spent recording, info is very sketchy for this year. Jan. 1992 - Mastermind Volume Two CD released by ZNR. Recording & possible gigs, info is very sketchy for this time. Dec. 1990 - Mastermind Volume One CD released by ZNR. Second half of '89 spent recording & mixing MM Vol.2 tracks. Sep. 07 - Japsers - Bristol, PA? Recording & more gigs, but info is very sketchy for this time. April '87 - Mastermind Volume One cassette demo released. Feb. 04 - The Empire - Philadelphia, PA -- the first Mastermind gig! October 30 - The Empire - Philadelphia, PA -- Bill, Rich, & Phil as "Voyager One"